When it comes to dressing well, accessories specially bags are often an afterthought. After all, dresses are more important than bags, right? Sure. But bag accessories are still important. And the wrong accessories can ruin an otherwise great outfit. That's why our small size bags will be helpful to complete your dress-up. Small handbags are here to stay, and, there’s never been a better time to invest in the scaled-down accessory. 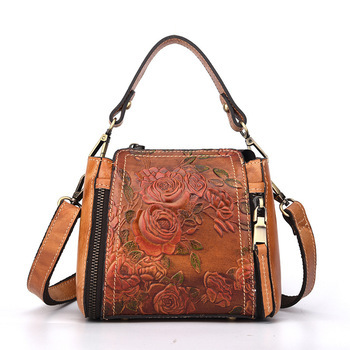 Bag’s designs are modern and versatile with some luxury offering the opportunity to indulge in a high-end bag without the eye-watering cost. An oversized, bag makes smaller gents look like freshmen on the first day of school. Or land snails. In other words, decide what stuff you need to carry, then buy the smallest bag that can carry your stuff.